Nightlock Lockdown 1 for either inward or outward-swinging doors. 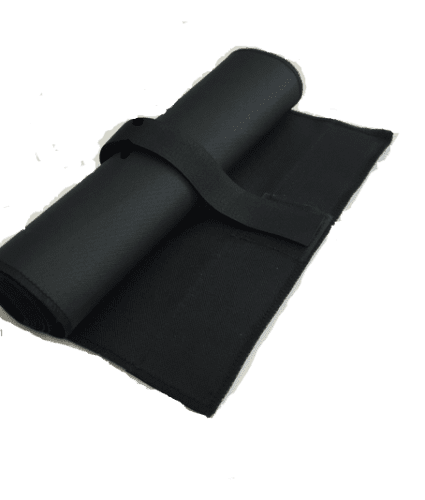 NIGHTLOCK LOCKDOWN 1 is anchored securely to the floor and uses the strength of the floor itself to provide protection. Works on BOTH Inward & Outward swinging doors. Wood or Metal Doors! IN THE PACKAGE: NIGHTLOCK® Lockdown 1 comes complete with easy instructions, (1) Wall-mount Storage Box for Locking Handle, (1) Door Plate, (1) Floor Plate, (1) Red Locking Handle, (2) Architect Bolts, (2) Phillips Head 2″ Screws and (2) Blue Plastic Cement Anchors. Nightlock® Lockdown 1 comes complete with easy instructions, Wall Storage Box, matching screws and plastic anchors for mounting on ceramic tile, marble or concrete floors. NIGHTLOCK® Lockdown 1 can withstand tremendous force of 2,000lbs on a door that open into the room & 1,600lbs. of on doors that open out of the room. On a conventional door, an intruder or active shooter can break a door window, reach in, and gain access to the doorknob lever to open the door (even with security mesh wire). With the Nightlock Lockdown 1 at the floor level, it is out of reach. The NIGHTLOCK® LOCKDOWN One’s locking handle can be stored in a convenient location in the classroom by the teacher. A Wall Box is provided with each unit and can be positioned anywhere in the room for quick access to the handle in case of a lockdown event. The handle is red for easy visual locating. Most schools prefer positioning near the door or at the teacher’s desk.